Joanne Chesimard, a left-wing militant who shot a state trooper on the New Jersey Turnpike 40 years ago today, has become the first woman on the FBI's list of Most Wanted Terrorists. "Joanne Chesimard is a domestic terrorist who murdered a law enforcement officer execution-style," said Aaron Ford, special agent in charge of the FBI's Newark Division. 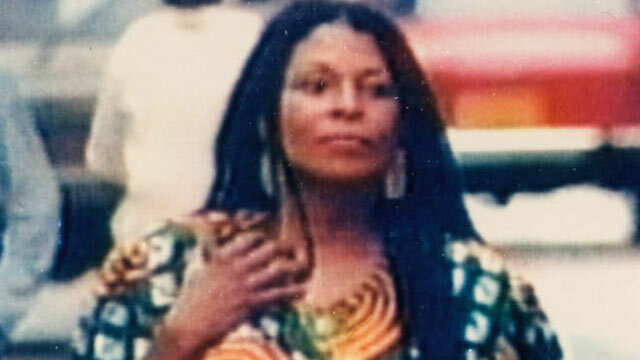 Chesimard, a fugitive living in Cuba under the name Assata Shakur, was a member of the Black Liberation Army in 1973 when she shot and killed Trooper Werner Foerster during a traffic stop. According to a state police account, "Foerster was severely wounded in his right arm and abdomen and then executed with his own service weapon on the roadside. Chesimard's jammed handgun was found at Foerster's side." Chesimard, now 65, was convicted in 1977. Two years later she escaped from the prison where she was serving a life sentence, spent time in a series of safe houses in New Jersey and Pennsylvania and fled in 1984 to Cuba, where New Jersey State Police Col. Rick Fuentes said she "flaunts her freedom." "To this day from her safe haven in Cuba Chesimard has been given a pulpit to preach and profess, stirring supporters and groups to mobilize against the United States by any means necessary," Fuentes said. The reward for her capture and safe return has been doubled to $2 million. "We want her to come back here and face justice and serve out her sentence," New Jersey Attorney General Jeffrey Chiesa said. Chesimard is also known as the godmother of slain rapper Tupac Shakur. The FBI said Chesimard represents a "supreme terror" to the United States, though she is associated with no new threat. Her supporters believe she was a target of law enforcement's campaign against the Black Panther movement in the 1960s and 1970s. "I was convicted by—I don't even want to call it a trial, it was lynching, by an all-white jury," Chesimard told BET in 2001. "I had nothing but contempt for the system of justice under which I was tried." The rapper Common told her story in "A Song for Assata," which caused a stir after Michelle Obama invited him to a White House poetry slam two years ago. The piece contains the lyrics "Your power and pride is beautiful."